Check out Entertainment first look poster. It’s Entertainment is a romantic comedy directed by debutante jodi of Sajid-Farhad. 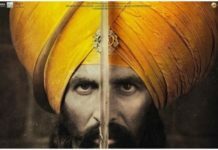 The movie is produced by Ramesh Taurani of Tips Industries Ltd. Its Tammannah who is working for the first time opposite Akshay Kumar. The movie is slated for 8 Aug 2014 release. 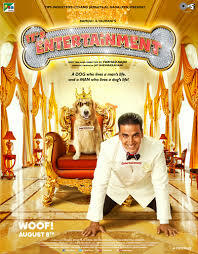 As depicted from the first look it seems that Akshay Kumar is cheated and is living a dog’s life. The tag line on the poster reads ‘A dog who lives a man’s life and a man who lives a dog’s life’. Well, the tagline is certainly which sets our curiosity levels and it seems there is something interesting coming from Akshay Kumar this time. 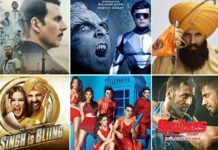 Star-cast : Akshay Kumar, Tammannah Bhatia, Mithun Chakraborty, Krushna, Prakash Raj, Sonu Sood. Do you think Akshay Kumar will be back to his best with It’s Entertainment. Share your comments and views and keep visiting Blog to Bollywood.